The law firm of Adams and Reese is one of the best known in the southern United States. The firm maintains a strong presence in the region with 12 regional offices in Alabama, Florida, Tennessee and Texas, and an office in Washington, DC. The firm focuses on providing client-centered services using innovative solutions. The company prides itself on its innovative approach to law bolstered by half a century of experience which has included representing an impressive array of clients from state and local agencies to multi-million dollar corporations. The firm’s commitment to helping clients achieve their goals effectively has led to a number of impressive distinctions. Among the country's largest law firms, Adams and Reese provide legal services in a large number of industries, including Aviation, Agriculture, and Automotive Law. The firm has a highly dedicated and skillful team for dealing with Banking and Financial Services related matters. In addition to the Defense industry, the firm also practices in Construction, Dealerships, E-Commerce and Internet, Education, Entertainment, Health Care and Insurance. Lawyers who specialize in Real Estate, Transportation, Consumer Products, and Shipping and Maritime Law are also available at Adams and Reese. With its diverse range of practice areas, and presence in a number of areas, Adams and Reese has received a number of distinctions.  It has been ranked among the highest grossing law firms in the United States consecutively for the last seven years. The firm has also received awards for being one of the largest law firms in the country. It has also been recognized as the best “Banking and Finance Firm of the Year”, and one of the best law firms with 100 recognized practice areas. With highly skilled attorneys who have a deep understanding of law and always satisfy their clients, Adams and Reese has become the go-to place for numerous businesses and private individuals for their legal needs.